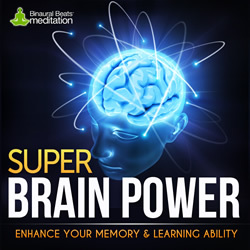 Nitrofocus is an MP3 audio program which aims to increase your focus and productivity by activating the relevant brainwaves and brain states that foster concentration. See my article here for an explanation of brain waves and the states being in each group brings about. Nitrofocus works by using special tones which guide your brain into a productive frequency while at the same time distracting your mind with blocking background sounds. 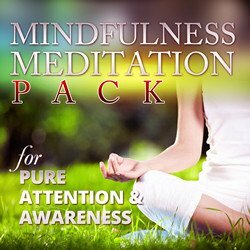 It is a collection of MP3s that help you increase your focus and concentration while you work to get more done in less time. Simple! Just listen and increase your output: More focus, productivity & results. Cons: Audios are so powerful you have to make sure you don’t overdo their use. Nitrofocus mp3 Review – What is Nitrofocus and why do you need it? Modern life is complicated and demanding. We are all expected to get through a lot, multi-tasking and being distracted by differing demands of us. This is particularly true in work and sometimes it’s hard to get focussed to work through all the things you need to do. That’s where Nitrofocus comes in. Nitrofocus mp3 Review – What does it do and how does it work? Nitrofocus is a program of 12 audio mp3s which consist of 5 main recordings which are all isochronic tones and 7 support sessions which are a mixture of binaural beats, isochronic tones and monaural beats. It also includes a 50 page pdf User guide which explains how to get started quickly, how Nitrofocus works by using brainwave entrainment, who shouldn’t use Nitrofocus and a detailed explanation of each recording and what it should do. Although I understand that the producer of the program doesn’t want you to spend hours reading before you use the program – and I’m sure you want to start straight away – the quick start explanation may ultimately stop users getting the full benefits of the audios. The quick start will get you going and show you how to use the main recordings but it is very important that you take the time to read and understand ALL the audios. The headline benefit comes from the main recordings but there is massive value and benefit from using the support sessions as well. Nitrofocus mp3 Review – What are the main recordings? The 5 main recordings consist of hour long audios which have the same underlying isochronic tones to rocket your focus levels but are delivered in 5 musical styles to suit your mood and circumstances. 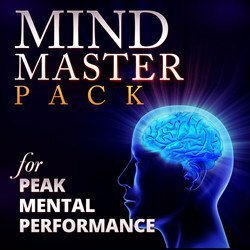 The audios entrain your brain to low to mid Beta frequencies which is the range associated with being actively engaged ie doing mental and phyical work, everyday tasks and studying. The 5 sessions are Classic (the most popular and most powerful), Digital, Easy, Workout and Ocean. Each has it’s own background music depending on where you are and how you feel. For example, a fast workout beat may not be appropriate if you are working in a quiet office. The sessions are designed to be played on repeat for as long as you need to concentrate and, because they are isochronic tones, you do NOT need to use headphones. This means that they can be played over open speakers while you carry on with your work or tasks. The producer, though, suggests a half-decent pair of PC speakers and doesn’t recommend laptop speakers as they are too tinny to be of benefit. You can, however, use bone-conduction headphones which will take the sound straight to your brain while leaving you free to take phone calls, talk to colleauges etc. Nitrofocus mp3 Review – What are the support recordings? Although dubbed supporting sessions, the 7 other audios are very important and should be integrated into your listening routine to get the best out of the program. It is important, though, that you do not overdo the entrainment in some of these audios and the manual gives details of which ones to use sparingly and which ones not to combine in any one day. 5 minute break . This is a quick session for whenever you need a short break. It quickly takes you down to 10Hz Alpha state where you will be relaxed but still aware and alert. This in-between state may lead to moments of insight or ‘aha’ moments. 10 minute break. A longer session that takes you deeper down to 8.5Hz before ending at 10Hz. This will recharge your batteries but may lead to a power nap if you are tired. Memory Commit. This a 40 minute session designed to help shift short term memory to long term memory areas to help you retain data you have studied and need to remember. It does this by taking you to a state of deep Delta. Delta brainwaves are the slowest waves which occur during deep dreamless sleep. While in this state, the body heals and releases anti-aging hormones and others to maintain skin, bone and joints. The session uses sine wave entrainment instead of isochronic tones which can be jarring when trying to relax. 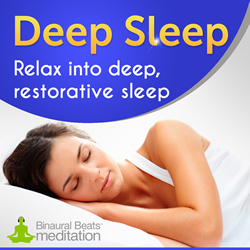 The benefit of these waves over binaural beats is that you do not need headphones for this session and so can play it while going to sleep. Although not specified in the manual as such, you could use this audio last thing at night as an aid to sleep. Anxiety Reducer. A 23 minute audio that is designed to help reduce concerns and worries about a specific event, say an exam or important meeting. It uses assymetrical entrainment as binaural beats so does require headphones. It uses binaural beats so as to address each side of the brain differently. The logical left brain is boosted with Beta waves to keep it focussed while the emotional right brain is kept calm with Alpha waves. You can use it as a general anxiety reducer too. It is important to read the guide when using these audios. It is not healthy to spend too long in Beta or Gamma and it can make you irritable and relaxation or sleep difficult. Please use the audios sensibly and allow your brain some downtime. It specifically warns not to use more than one of these in any particular day and not too late in the day! Brain Booster. 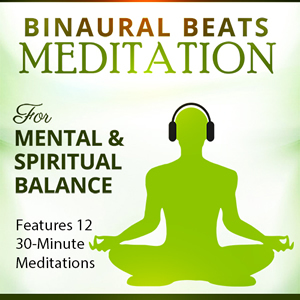 A 45 minute binaural beats session designed to get you going in the morning. This works in a similar way to the Anxiety Reducer but keeps both sides of the brain in Beta, with the logical left kept higher (15-20Hz) than the emotional right (12-15Hz) and ends by bringing both sides to a focussed 14Hz. Focus Gym. A high intensity 45 minute session designed as a brain workout to improve overall cognitive ability and sharpen focus skills. Best used in the mornings, headphones are not required and you can work or study as you listen. Analytical builder. A 35 minute session that uses Gamma frequencies to help increase non verbal skills such as maths and problem solving, or any activity that requires strong reasoning skills and not language ability. Listen 2 or 3 times a week. Nitrofocus mp3 review – How is Nitrofocus marketed? Nitrofocus is priced at $97 but a quick Google search will usually find a voucher code for $50 discount, bringing it down to a reasonable $47 one off price. You can take a free 7 day trial during which time you can immediately download Nitrofocus Classic, 5 Minute break and the user manual, allowing you to try it on any of your devices (phone, tablet, PC etc) without commitment. At the end of the 7 days, you are charged the $47 and your account is upgraded to allow you access to the other recordings. Bottom line, this product makes sense and is hard to beat. $47 dollars is a fair price for recordings of this quality and they WILL improve your focus and efficiency. I use Nitrofocus every day while I do my work as an Accountant and I fully recommend Nitrofocus. Try Nitrofocus Classic for 7 days for free to prove it to yourself. If it doesn’t do what it says, cancel and you’ve lost nothing. But I think if you try it and experience the effect, you’ll want to keep using it and get the terrific support audios that go with it. I know I did!